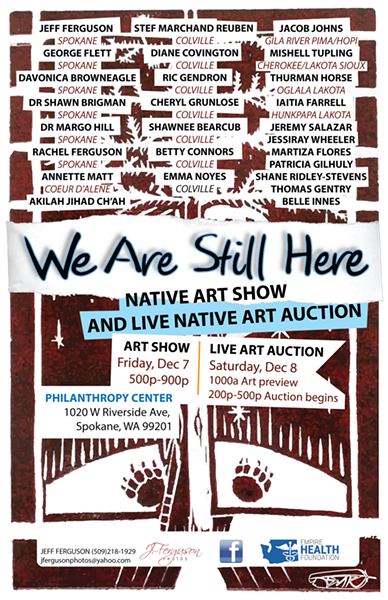 Twenty-eight Native American artists from the Inland Northwest, representing a dozen different tribes, show their work in conjunction with December's First Friday event with a live art auction on Sat, Dec. 8 from 2-5 pm. Auction preview at 10 am. Dec. 7 from 5-9 pm and Dec. 8 from 10 am-5 pm.